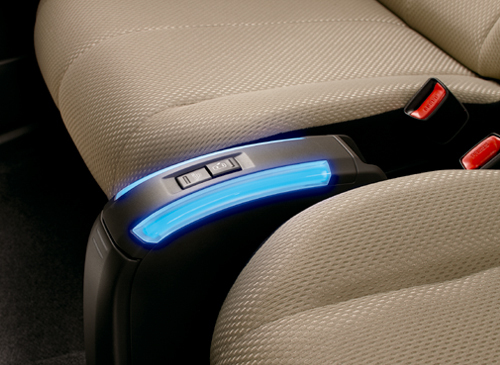 Toyota Boshoku—interior spaces that simply feel right. 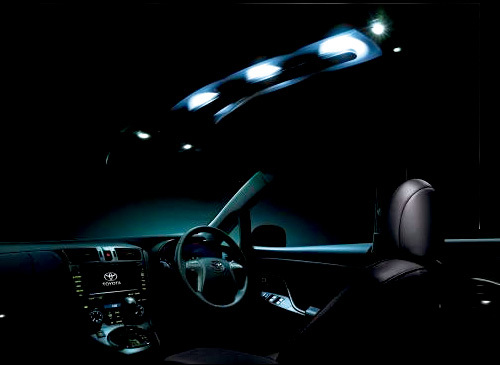 Top-quality illumination welcomes passengers with soft light the moment they open the door. Together with developing a new illumination structure by reflecting light on the ceiling to provide indirect light, a reduction in weight has been realised by decreasing the number of components. Realises sophisticated lighting at night and a luxurious feel during the day. Used for the front map lamp and rear reading lamp to ensure sufficient illumination while giving a sense of hospitality when getting in and out of the car. A roomy interior adorned with a stylish design and beautiful light give the feeling of an upscale lounge. Blue illumination gives a refined feel and spirit of innovation. 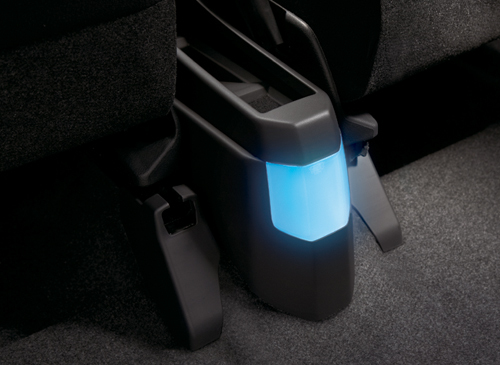 A single LED lamp enables light to be emitted on both sides by optimising the light distribution of the centre floor console’s side illumination. 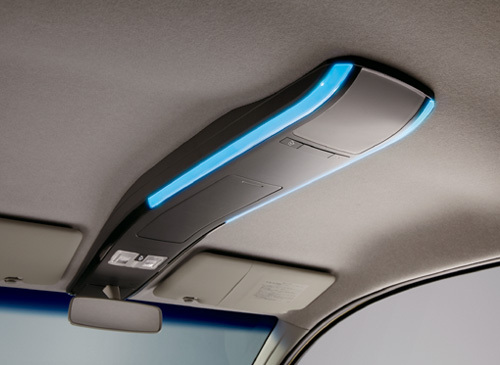 A single LED lamp also realises surface lighting by optimising the optical guidance and diffusion of the lens of the centre floor console’s rear illumination. 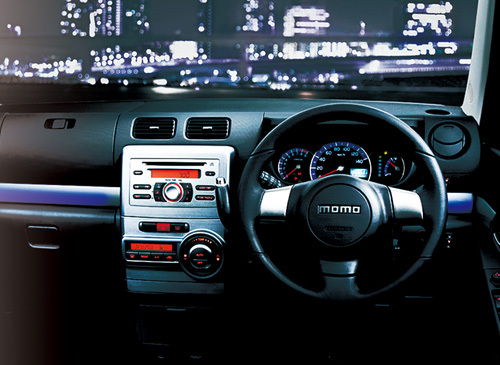 The light gradation emitted from the Silver Accent Colored panels gives an almost mystical feel to the automobile interior at night. The design panel of the silver dot pattern becomes the interior accent in daytime, and light penetrates from a white dot part and it leads to a fantastic space at nighttime. Three panels with different lengths are illuminated by the same luminance by the optimal arrangement of the light source, light line and reflector design. Uniform luminescence regardless of the distance from the source of light is achieved by using an acrylic profile extrusion with a printed gradation pattern. 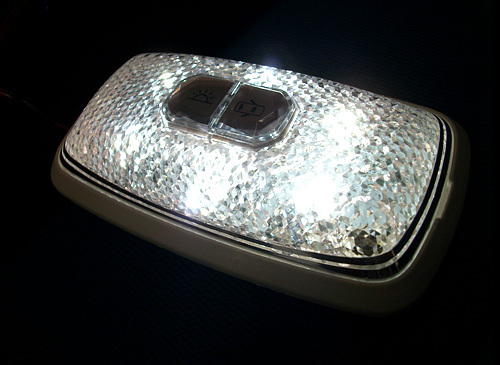 To increase the interior design of lighting in vehicles jewelry-like LED lighting has been installed.